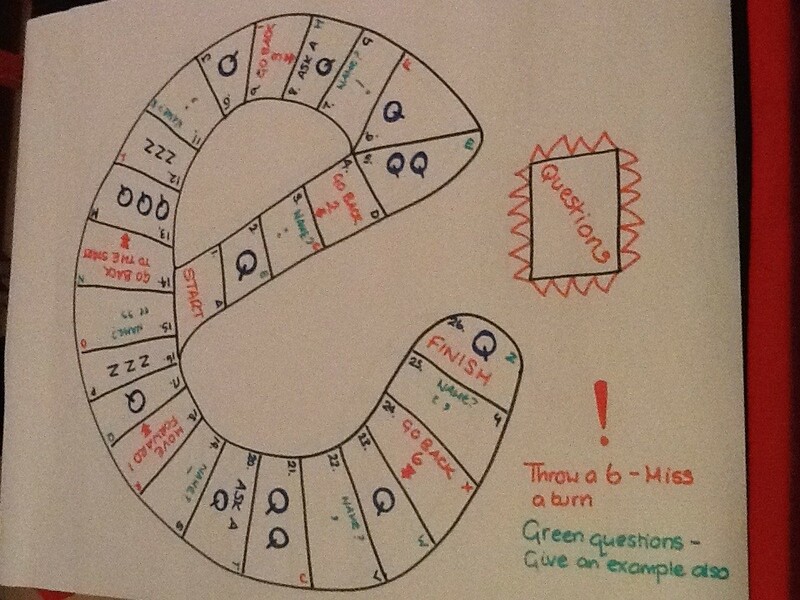 A quick revision game for English that includes question cards and questions on the board. This simple game was well received and was used prior to an exam as a reminder of key concepts that students usually forget. The game can be adapted for any topic or level.